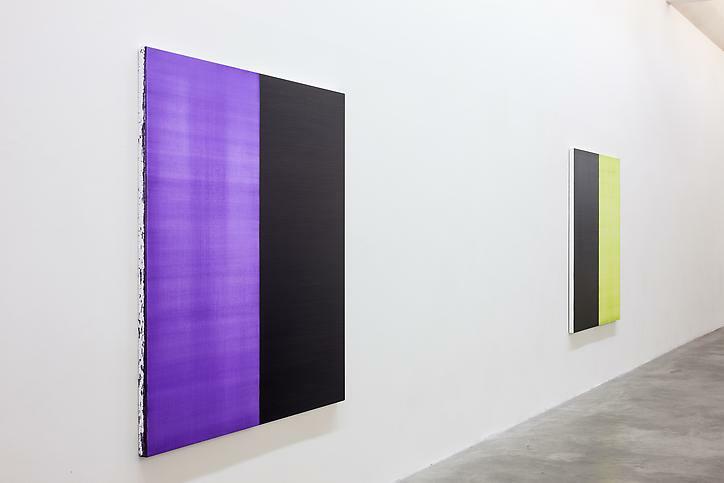 Kerlin Gallery is pleased to announce, ‘Unforeseen’, an exhibition of new paintings by Callum Innes. 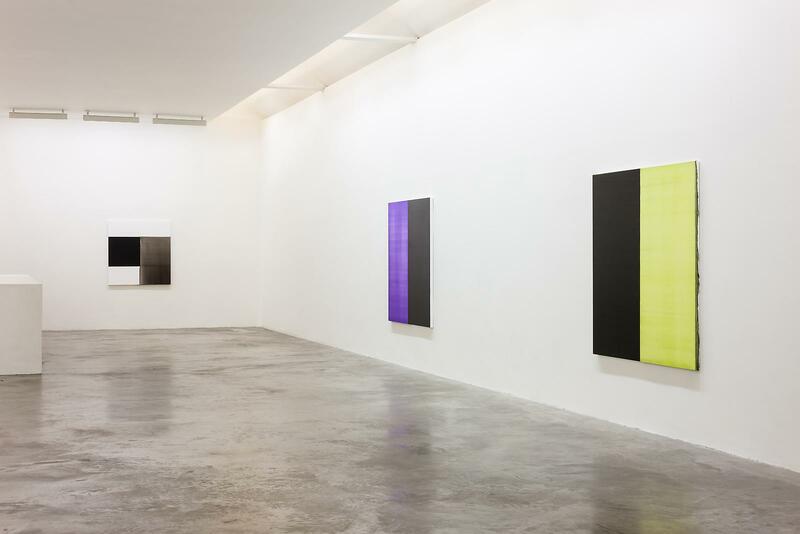 Callum Innes makes work in a number of different ways, all of which are evolving simultaneously. 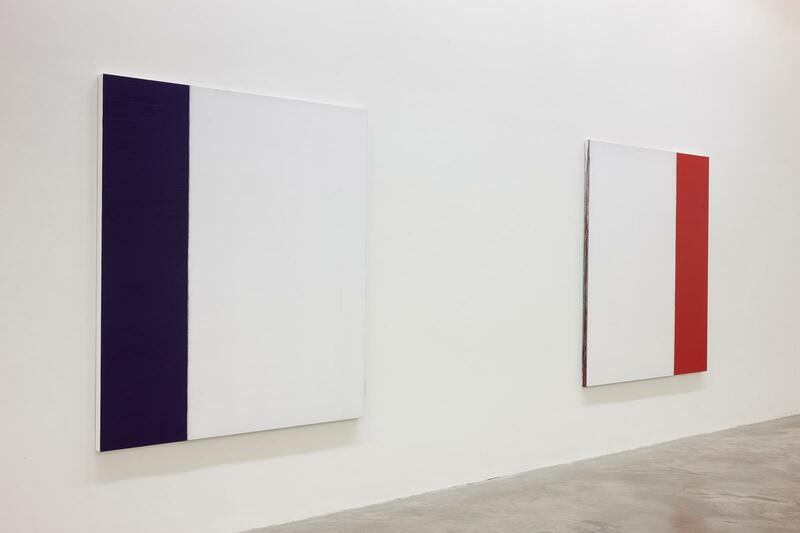 He shifts from one series to the next allowing each new painting to build on those that have gone before in a subtle but constant development. 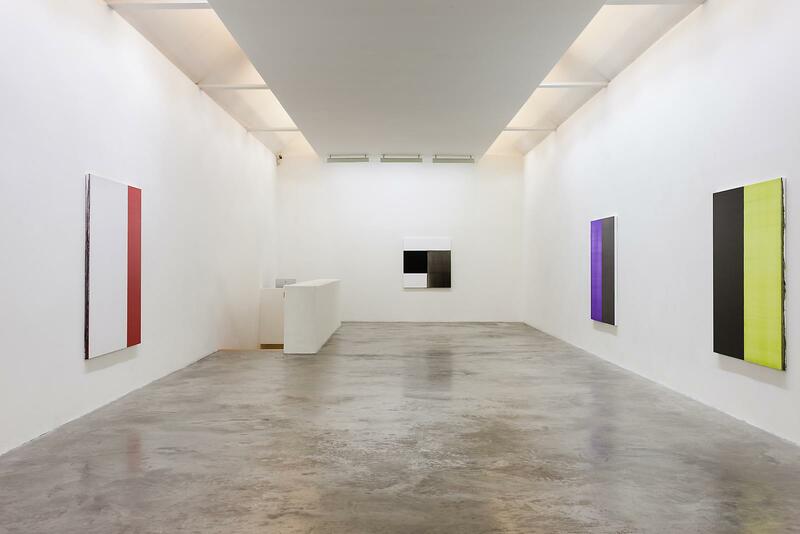 This exhibition is comprised of new Exposed Paintings, Isolated Forms and a wonderful example of the Monologue series with a focus on new works from the Untitled series. At first, the strength and orderliness of geometry seems paramount but the work's fragility and power resonates in the space where the line between Form and non-Form comes and goes. 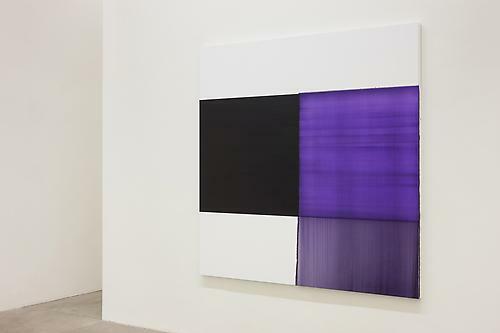 Further observation reveals that his characteristic mode of atmospheric abstraction involves a complex process of reduction, given that they've all started off as black paintings with their key compositional elements being conducted through the repeated process of applying and dissolving paint. The surface of the canvas is cumulative. It is in a strange kind of flux between a form that was coming into being and one that was being painted away, creating a history on the surface of the canvas which bears traces of time, movement and loss. The process is not one of imitation or analogy. It is generative of a new language of abstraction that continues to explore the relationship between the monochrome and the ‘Void’. These meditative paintings describe a liminal state between presence and absence, one that is always advancing and receding between rich dense black and extreme luminosity. Callum Innes was born in Edinburgh 1962, and since the early 1990s has become one of the most prominent abstract painters of his generation, achieving widespread international recognition for a highly distinctive and individual body of work. Major solo exhibitions include the ICA, London, the Scottish Gallery of Modern Art, Edinburgh, Ikon Gallery, Birmingham, Kunsthalle Bern, Fruitmarket Gallery, Edinburgh, Modern Art Oxford and the Museum of Contemporary Art, Sydney. His work is held in many public collections including the Irish Museum of Modern Art, Dublin, TATE, London, the Guggenheim, New York, San Francisco Museum of Modern Art, the National Gallery of Australia and the Scottish National Gallery of Modern Art. Innes’ first public art commission, ‘The Regent Bridge’ is currently on show in Edinburgh and was recently unveiled as part of the Edinburgh Art Festival 2012. It’s an enduring problem: how certain pictorial resources, or the imaging capacities of paint, come up against certain material conditions of painting. The title of Callum Innes’s show at the Kerlin, Unforeseen, acknowledges the contingencies variously engaged in addressing this issue.